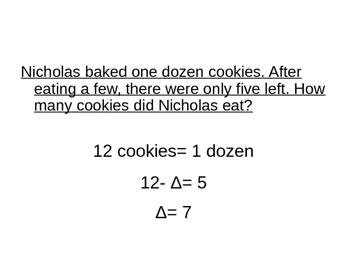 Trying to teach unknowns can be tricky and challenging. 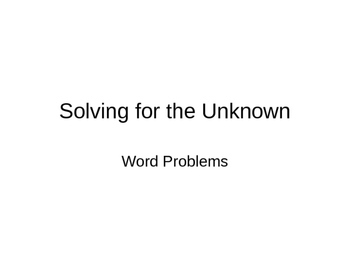 This power point breaks down how to think through an "unknown" problem. 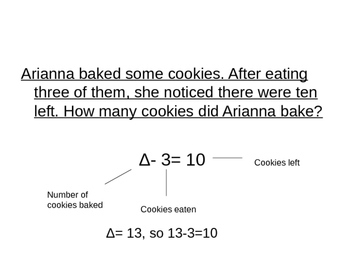 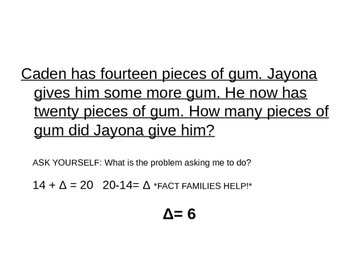 There are also plenty of word problems to help your students build a better understanding of unknown equations.